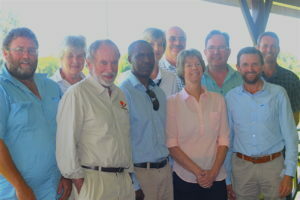 With transformation and rural development in agriculture in KwaZulu-Natal being a key component of Kwanalu’s objectives for 2019, the Advisory Council of the Union recently met with all heads of commodity groups and agri-businesses to collaborate and together drive meaningful change in the sector. Kwanalu’s Advisory Council, consisting of farmers from each District, commodity and agri-business affiliates of Kwanalu, sat for a first sitting of 2019 on 28 February in Pietermaritzburg. As part of Kwanalu’s mandate to foster transformation and unity in the province, a strategic session consisting of presentations by commodity and agri-business leaders was held where the Advisory Council heard presentations from each commodity and agri-business on their aims, objectives, future plans and interventions undertaken to foster transformation and rural development in KZN in their specific sector. “An incredibly positive and united spirit was displayed throughout the meeting where key cross-cutting issues and potential opportunities were identified. Kwanalu will be taking the outcomes forward and will pursue a sound collective approach which brings value to the sector,” said Sandy about the meeting.